As caregivers or children of aging parents, the safety of our elderly loved ones is a top priority. 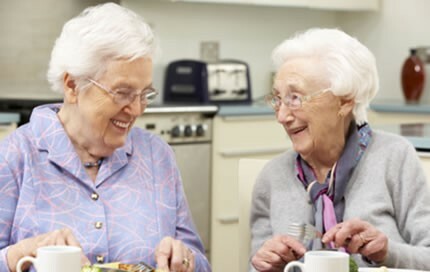 In addition to their health, happiness and emotional wellbeing, we want our parents or grandparents to live in a safe environment free of hazards and injury. Since seniors typically have medical conditions and their bodies are weaker, seniors are more vulnerable to heat-related illness, heat stroke and heat exhaustion— even death. Ensure that your parents have an adequate and reliable cooling system. Portable AC units can also improve the temperatures of your loved ones’ homes and keep climates controlled. Use one unit to keep one room automatically cooler than another room in the house. Remodeling bathrooms to be safer and more senior-friendly can prevent shower and bathtub injuries, such as serious slips and falls. Bathroom safety design expert Dave Redmon of NWI.com explains that outdated bathroom designs can be a safety threat. Grab bars, for one, are an essential bathroom modification. Sturdy grab bars can prevent falling and provide dependable support as opposed to gripping onto a slippery sink or leaning against wet tile walls. The National Association of Home Builders recommends installing grab bars onto shower and tub walls, near a shower seat and beside the toilet. Non-slip bathtub and shower installations can also improve a bathroom’s safety. Placing non-skid mats on shower and bathtub floors can be just as effective. According to Legal Eagle Contractors’ owner Dan Bawden, “having a first-floor bathroom is ‘crucial. '” Outfit a first-floor bathroom with senior-friendly safety installations. The design should be preventative and accommodating. For example, build a doorway that’s “a minimum of 32-inches wide,” suggests Bawden. A wide doorway accommodates a walker and wheelchair. Entryways and walkways should be convenient and free of barriers. Whether your loved one is entering their home at dusk or carrying bags of groceries, a home’s entryway can be a threatening space. Prevent injuries by eliminating any steps and creating a smooth entrance. To accommodate a wheelchair, install a ramp for no-step entry. Maintain a minimal space on entryways, sidewalks and porches. Decor, plants and obstructive furniture can be hazardous for seniors who can easily lose their balance and footing. Also, ensure that the home’s exterior has sufficient lighting. For optimal safety, program outdoor lighting systems to automatically turn on at dusk. Keep in mind it’s never a bad idea to have a well-lit exterior for security purposes. Inside the house, eliminate tripping hazards and thresholds between rooms as well, recommends AgeInPlace.org. One Comment on "3 Home Remodeling Essentials for the Elderly"
Guten tag! Hehehe! I’m not Deutsch, but had ya worried! Sweet article neway, I get what you wrote.